This question occurred to Eric Finzi, when he was painting portraits from pictures of French women who were institutionalized in the 19th Century. He wondered if they'd be cured if their faces couldn't register their depressed emotions. Finzi used Botox to test this hypothesis in 2003 and 2006, to astonishing results. 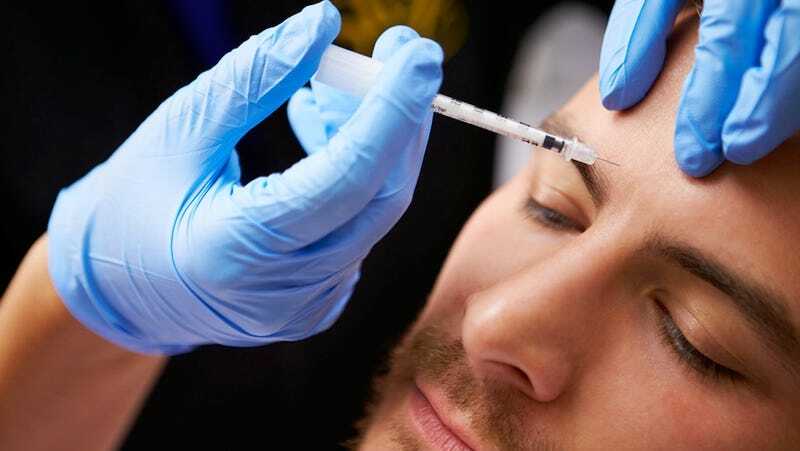 According to Pacific Standard: 9 out of 10 patients revealed a complete remission of their depression in the 2003 study, and the patients in the 2006 followup reported a 47% reduction in depressive symptoms due to the Botox treatment. The author of the Pacific Standard post, Taffy Brodesser-Akner, who lives with clinical depression herself, tried out the Botox cure. She reported that when he negative emotions weren't on her face, people felt more comfortable approaching her. On the other hand, she still felt the same emotions but had become detached from them, making it harder to empathize with people's good or bad news. So there are trade-offs: Botox may make the negative emotions matter less, but it does the same thing with the positive ones as well.